International Women’s Day (IWD) is a day to celebrate and appreciate women around the world for their economic, cultural, and political achievements. Now more than ever, there’s a strong call to #PressforProgress motivating and uniting friends, colleagues and whole communities to think, act and be gender inclusive. 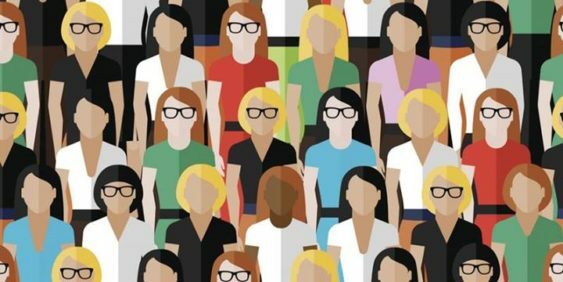 WiWSF is partnering with Reddit to bring you a panel of inspiring women from all over the globe who work in tech and media in the Bay Area. We hope their stories and perspectives on inclusion will motivate collective action and shared responsibility for driving gender equity forward. A co-founder of Branch, Mada leads their growth marketing team. Born and raised in Romania, Mada came to the U.S. to study Electrical and Computer Engineering at Cornell University and then earned her Masters of Engineering and MBA from Stanford. She was included in Linkedin’s Next Wave, a compilation of 150 top professionals across 15 industries all 35 & under, and sits on the board of the App Developer’s Alliance. A PR expert, internal communications professional, and pop culture addict, Taylor Robinson has worked in advertising, entertainment and tech to help brands and companies fulfill their greatest potential. A Midwestern native, Robinson received her undergraduate degree in American Studies from Miami University and a master’s degree in Strategic Public Relations from USC. In her spare time, she hosts the moderately successful Bachelor Franchise podcast, 25 to Life. Kritika is a Data Scientist at Reddit, where she works on building user behavior models and forecasting to help accelerate product growth. Prior to Reddit, she worked as a Data Scientist at Hipmunk. She was the first female Data Scientist at both Reddit and Hipmunk. She has a Master’s in Economics from the University of San Francisco where she specialized in applied mathematics for predicting financial market variables. Kenneth is part of the Global Communications team at Tesla. Previously, he was on the communications team for Instagram. Stephanie is principal and founder to Yang Communications, a PR consultancy for advertising, entertainment, and tech companies. Off-duty, she helps program content for the San Francisco chapter of Women in Wireless, and has interviewed leaders from 500 Startups, Coffee Meets Bagel, Instacart, and Shyp, and reporters from The New York Times, TechCrunch and Women’s Wear Daily.